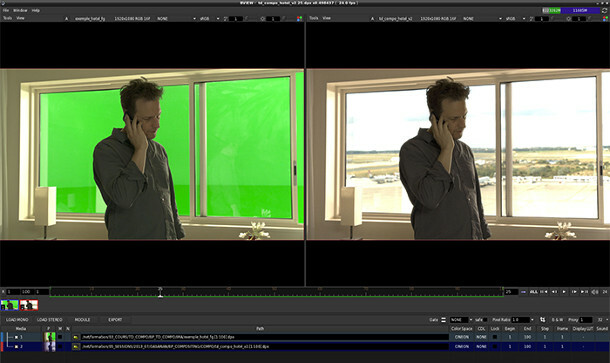 Leading VFX facility BUF has released Bview, its in-house image sequence playback software, for free. The release is the first from the BUF Software Project, which aims to make many of the VES Award-winning studio’s tools, including its 3D, compositing and paint packages, available publicly. Bview uses the OpenImageIO library, so it supports “all the industry-standard formats” for still images, including DPX, Cineon and OpenEXR, as well as Photoshop PSD files and many camera RAW formats. Video playback is based on open software framework FFmpeg, which provides support for most common file formats and codecs. The software supports stereo playback in anaglyph, interlaced and active stereo formats. Bview also includes shot review functionality, in the shape of annotation and version-comparison tools, the latter including slider-controlled blend and difference views as well as side-by-side displays and wipes. In addition, the software includes a basic editing toolset, enabling users to “mix sources, resize, retime [and] colour-correct in real time”; and “extensive command-line support” for batching output. To judge by the online manual, it’s a less heavyweight tool than the Autodesk-owned, node-graph-driven, ultra-customisable RV – but more broadly featured than existing free viewers like the DJV family of tools. Bview is available for 64-bit Linux or Mac OS X: there is no Windows version.